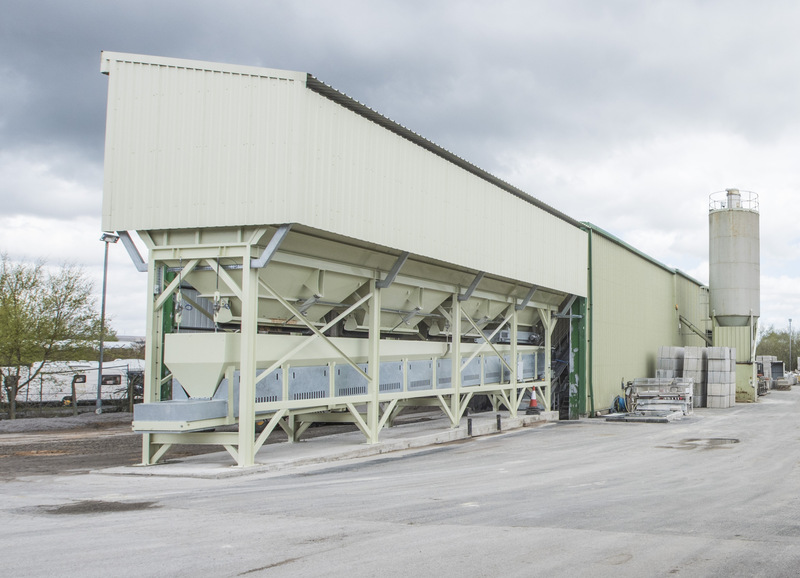 Following the achievement of Quality Standard ISO 9001:2015 and Environmental Standard ISO 14001:2015 at their Bury manufacturing facility, CCP Building Products Ltd is now seeing the rewards from an extensive improvement program that has been in progress for the last 12 months. In February 2018, CCP installed an automated batching plant, significantly improving consistency in weighing and the complete operational process. Additionally, a full renovation of the press located at the Bury site has taken place. This was re-commissioned in March 2018 and consisted of the hydraulic system being completely renewed, full re-wiring, automatic take-off installed and the addition of interlocked perimeter guarding. In conjunction with the overhaul of the manufacturing process, CCP were also able to acquire an additional segment of land to further increase the site’s stockyard capacity. Together with the increased production and storage capacity, CCP have been able to achieve a much-improved quality product due to the vast improvements the whole site has seen. The extensive changes to the site have been accompanied by significant enhancements in staff training and a commitment to keep health and safety at the forefront of all operational activity. This has been steered by the addition of Tony Jones to the CCP team, with plans in place to further enhance the Quality and Environmental profile to the highest ISO standards along-side accreditation to the Health and Safety standard ISO45001. All of the above contributes to CCP’s continued plan for growth in the industry and further projects are planned for all manufacturing facilities. CCP are also pleased to announce 2018 has seen the company Shortlisted for Business Masters Awards North West ‘Investment Business’ and ‘Medium Business’ of the Year as well as named in the London Stock Exchanges List of “1000 Companies to Inspire” for 2018.